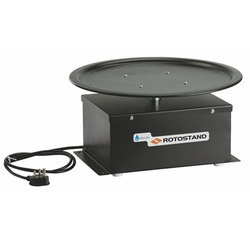 Manufacturer & Exporter of Rotostand Systems & Rotostand - Oscillating System. Our product range also comprises of Foggers, Fogging Systems and ULV Fogger. Standard Packing Material Corrugated Box with Enclosed Thermo col; Cut to Design. MOC Powder Coated Metal Body. Oscillation Speed 1- 2 RPM. Electronic Oscillator offering wide range of qualitative Electronic Oscillator these are manufactured from high grade quality material. These are duly tested by our experts on various quality parameter. These are easily available at very reasonable prices in market. Looking for Oscillating Humidifier ?